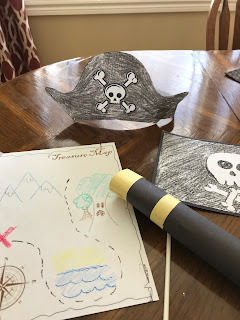 I like Pretend Play it keeps the kids busy for a while, away from their iPads and barely costs me anything. 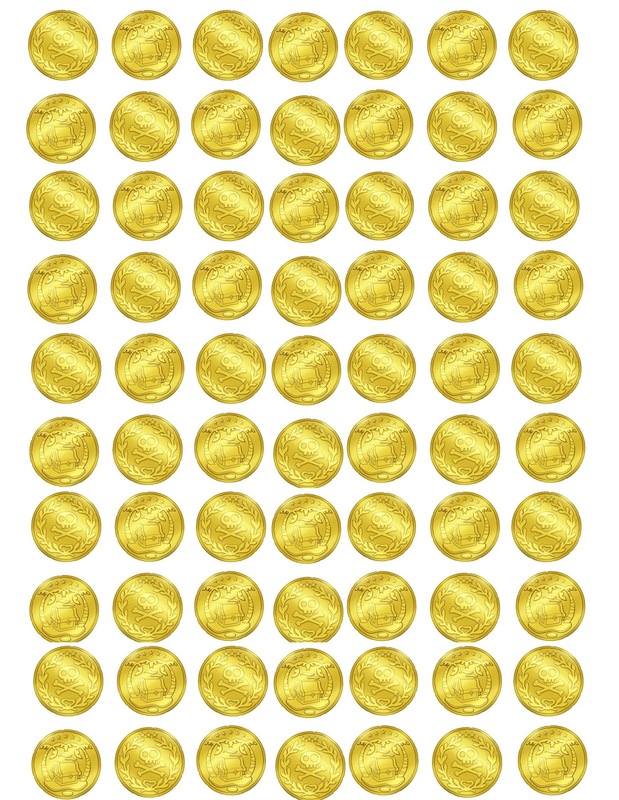 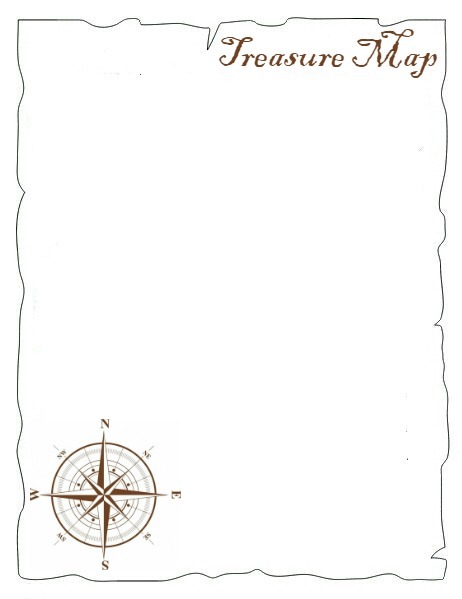 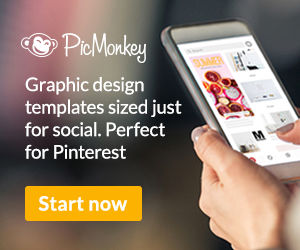 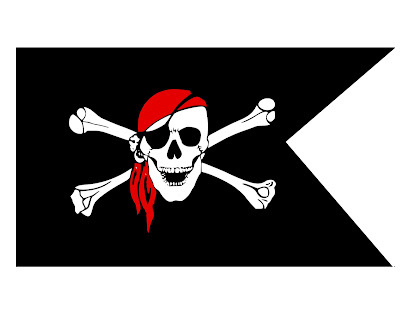 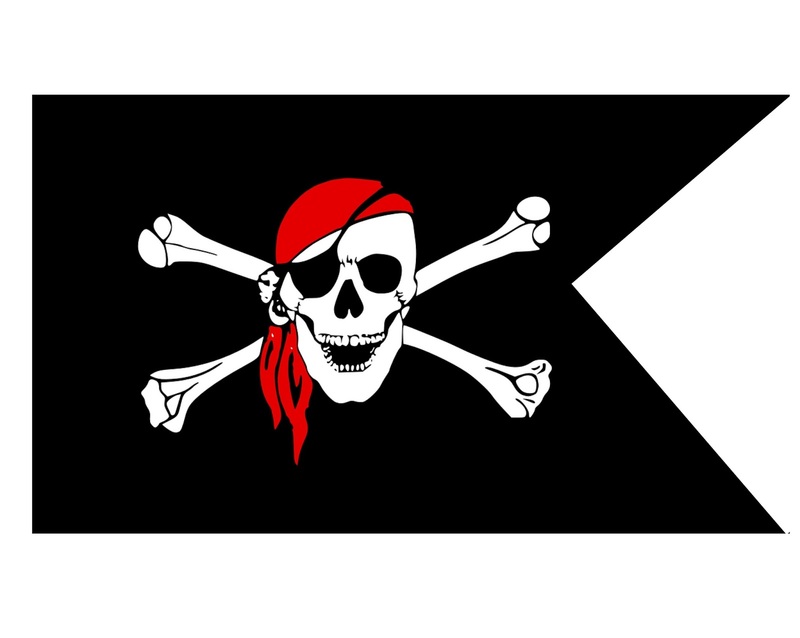 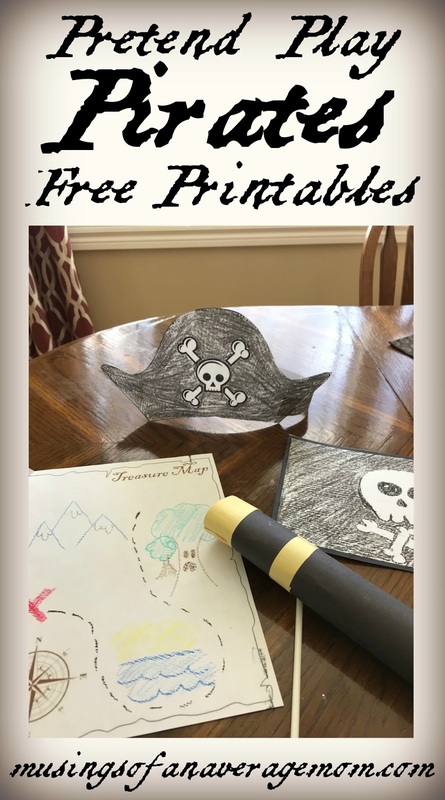 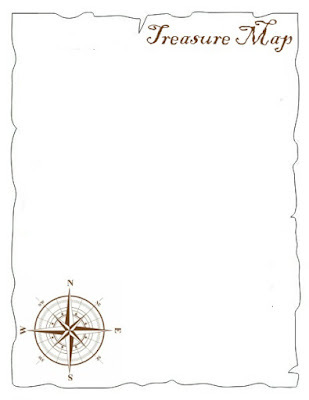 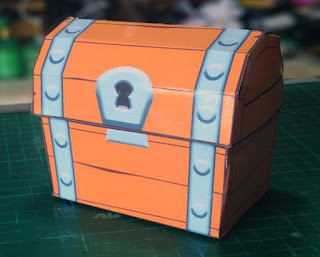 So I decided to create some Pirate themed free printables including pirate hats, treasure map and flags. We wrapped a paper towel role in black and yellow construction paper for our telescope, you could paint it instead. 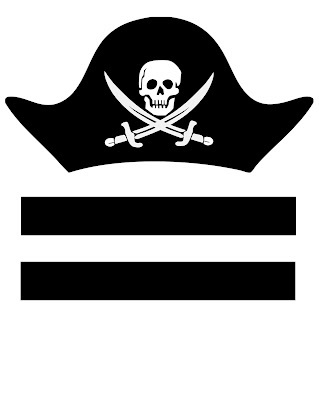 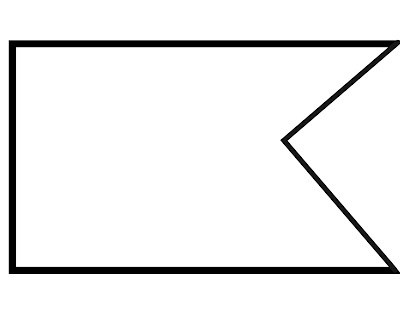 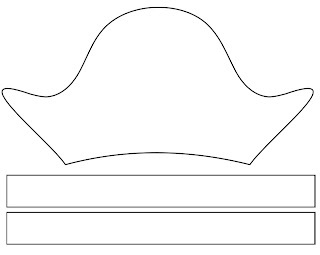 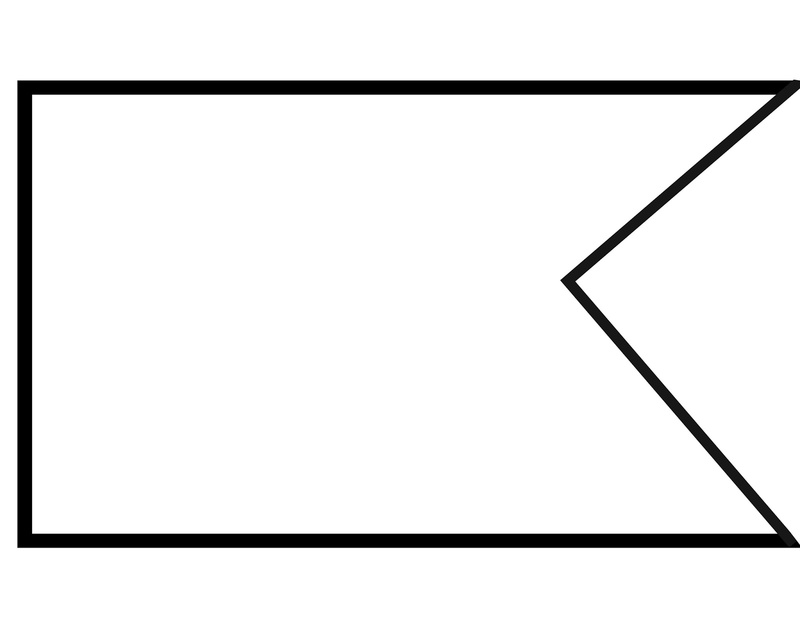 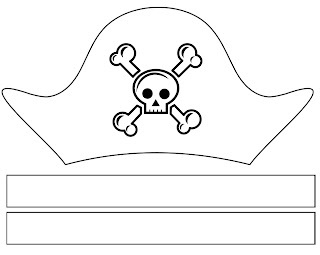 Or you can colour in this pirate hat, or use it as a template to cut it out on black construction paper. 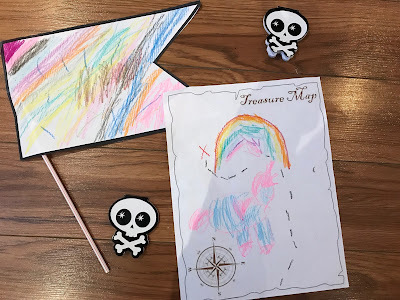 Lily created a rainbow unicorn theme pirate flag and treasure map. 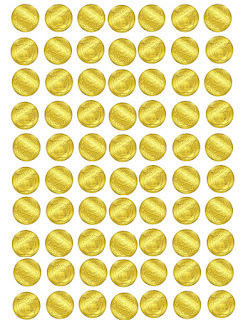 My kids absolutely love when we play treasure hunt as I usually hide a small chocolate or treat for them.